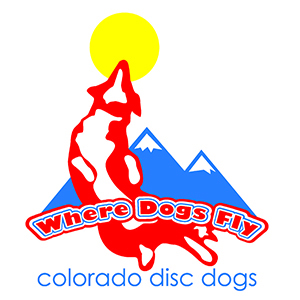 The Colorado Disc Dogs are a local non-profit club that organizes disc or Frisbee ® dog competitions all over the state of Colorado. These competitions provide a safe place for dog enthusiast to come and play with their dog. It also showcases how an energetic dog can be positively trained to do some incredible tricks! Over 60% of the dogs seen at our events have been rescued from shelters, and perhaps were given up because of having too much energy, we have given these dogs a way to focus that energy by playing Frisbee ® These dogs have turned into Regional, State and World Champions! In addition to organizing competitions we perform locally with our dogs and 100% of the funds raised go towards running these events to help promote rescues and the disc dog sport.